Intertops Poker and Juicy Stakes are known for their satellite tournaments that send online poker champions to exotic locations to play poker for really big money. 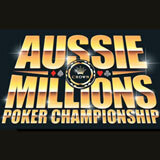 This week they're starting another round of online satellites for the Aussie Millions in Melbourne this winer! Win the Final on November 12th and you'll get a AU$3500 prize package to compete in the prestigious AU$1,000,000 Aussie Millions GTD NL Hold’em opening event in January. The Aussie Millions began transforming Melbourne into a southern poker mecca in 1998. It's one of the biggest stops on the international poker circuit and attracts both recreational and professional players from all over the world. Online satellites at Intertops Poker and Juicy Stakes continue until November 12th. The AU$3500 online satellites prize package includes AU$1150 buy-in for the opening event, four nights in a studio room at the five-star Quay West Suites (January 19-23, 2018) and $500 toward travel expenses. Players can register under the Tournaments tab in the poker software. Buy-in for Step 1 tourneys in the three-tier series is just $3. Players can win their way from Step 1 to the Final or buy-in at any stage. Just before the Final on November 12, a $1 Last Chance tournament will award one last seat at the Final Table. Players from anywhere in the world are welcome to compete in this satellite tournament series but with travel expenses to Australia being relatively high from North America and Europe, the field is expected to be primarily Australian players. Intertops players will find further information at https://poker.intertops.eu/en/promo/262-aussie-millions-2018. Details are also available at Juicy Stakes at https://www.juicystakes.eu/promotions/aussie-millions-2018. Intertops Poker and Juicy Stakes are the most popular online poker rooms on the Horizon Poker Network. They also offer a selection of casino games including Blackjack, Roulette and Video Poker.